The mid-tier gaming headsets, typically ranging from $90 to $130, always seems to be a perilous place to live. For smaller, less-known audio brands like AVerMedia, it is a place for the hardware team to stretch out their legs. However, more prominent name brands like Turtle Beach or Razer tend to try and pave a middle ground. Hardware in this space seems more like it is picking and choosing various key parts of the more high-end headsets to create a package that speaks to a class of games. 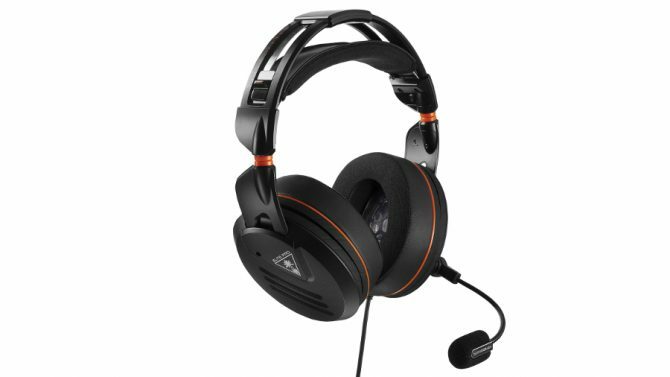 And after some high and low points with the Turtle Beach Elite Atlas Headset, a $100 option for both PC and console gamers that offers much more than a name-brand label. Marketed as a dedicated headset for PC gamers and aspiring eSports athletes, there is a lot to enjoy for people outside of those niche scenes. And while it may not be the most full-featured headset on the market, this hardware is 2018’s definitive headset for an all-purpose PC gaming. Despite Turtle Beach being such a prominent name in the headset industry, you may be shocked to learn they only have roughly six dedicated PC headsets, with the Atlas brand taking up exactly half of the real-estate. The Atlas One Headset and Atlas Three Headset are similarly wired headphones but make notable deviations: they feature less sturdy headbands, flip microphones (versus removable microphones), and a lack of the premium ear cushions that adorn the Elite Atlas Headset. However, sacrifices are to be expected, especially considering they can be purchased at either $20 or $50 less. 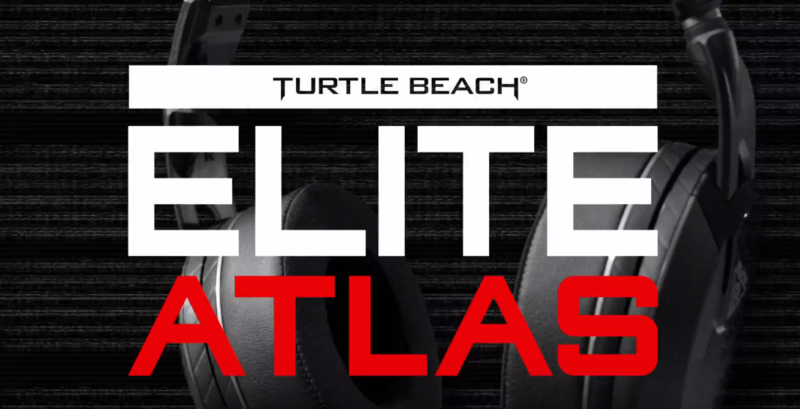 Meanwhile, the Turtle Beach Elite Atlas Headset remains as the leader of the pack. Instead of including an omnidirectional microphone that may pick up feedback, Turtle Beach instead chose to go with a high-sensitivity unidirectional mic that will keep out ambient sounds. Both coworkers and friends could easily tell when I was chatting at them, versus when my fiancee was scolding our cat a few feet away — a perhaps generally uncommon for most, but overly familiar for me problem. Outside of the microphone, the AeroFit ear cushions that come with only the Elite Atlas (versus the Altas One and Atlas Three) Headset is comfort I can easily recognize from higher-end models. Although all versions of the headsets will invariably include a memory foam option, the Elite Atlas is noticeably more comfortable. Perhaps this is a curse in disguise because my standard indicator for “have I played too much Destiny 2 today?” was when my ears started aching from the headphones. Meanwhile, with the Elite Atlas, I was playing for seven-hour stretches at a time. The design of the hardware itself is both sleek and sturdy, offering a mix of plastic, metallic, and leather in a way that would easily pass as a high-end model. The headset feels heavy in hand (but not on your head), so you won’t have to treat it like fragile third-party hardware. Even better, the headset is one that I wouldn’t feel embarrassed about bringing around to my office or non-gaming friends’ houses as normal headphones, provided I first removed the microphone. 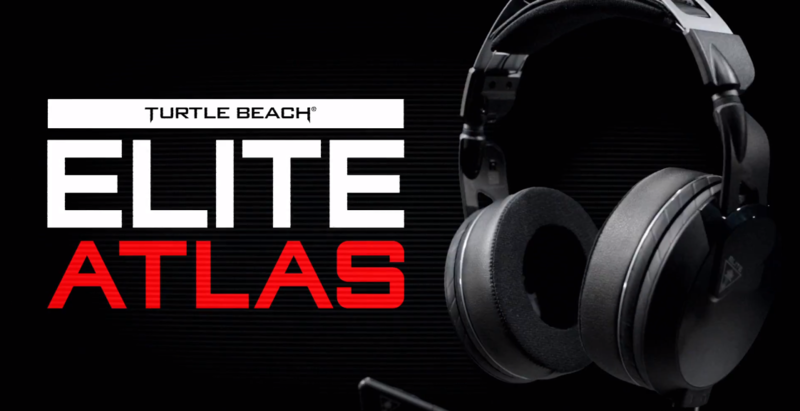 Although the Elite Atlas Headset does grab some of the best components of Turtle Beach’s high-end model, it’s instantly apparent where there are omissions. First, the sound your computer plays is the sound you get — other headsets like the Elite Pro (priced at $200) or the console Elite Pro 2’s ($250) come with options to customize the audio experience. Even better, these high-end headsets have performance options, Bluetooth support, and Superhuman Hearing (something I will touch on in the Elite Pro 2 review) that pad out the experience. More importantly to others, the Elite Atlas is wired, so if you are looking for a wireless experience, you are out of luck. However, none of these sacrifices were necessarily problems with the hardware itself, so much as it presents itself as less feature-rich. Instead, the Elite Atlas is the go-to model for the core PC gaming crowd who aren’t looking to spend the price of a budget PC on the most high-end models. While sound customization isn’t an option for audiophiles, there is a degree of hardware customization in all three models of the headset. First, all three models offer the ProSpecs glasses support, a feature that is becoming more prevalent in newer headset models. Instead of having the headsets push the temple of your glasses into your head, you can now make a customizable divot in the cushion to relieve the stress. As someone with a big head and thick rims, I appreciate the support. 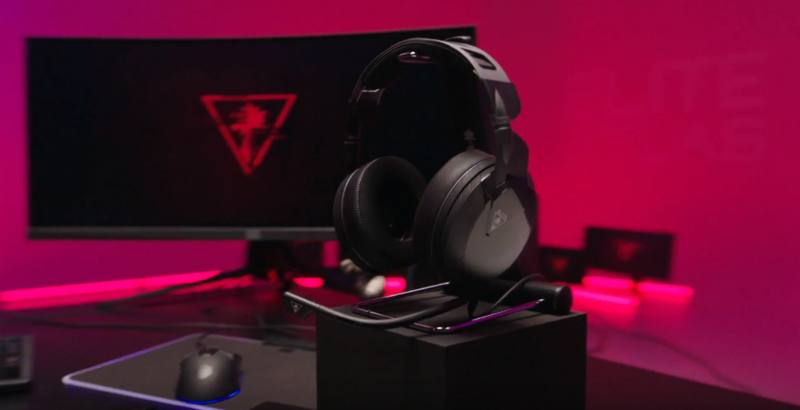 Meanwhile, Turtle Beach also includes magnetic faceplates (versus RGB backlighting) that have the potential to offer a more decorative component. However, as of the review, Turtle Beach isn’t selling these deco plates, with an anticipated release of the upcoming holidays. As a quick note, while we’ve reviewed this as mostly a PC product, fact of the matter is it works perfectly fine with all consoles — I’ve spent a bit too much of the weekend going between Nintendo Switch and my PS4 Pro, where the sound and mic quality are as good as on PC. 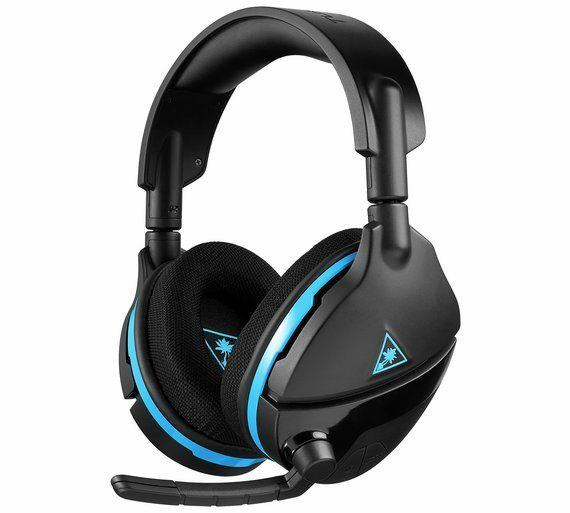 However, the PC headset market has far fewer dedicated headsets, so hopefully the Elite Atlas can prompt that change in the industry. Turtle Beach has nailed it with the Elite Atlas Headset, offering a terrific mix of comfort and style at a price that won’t break the bank. While other headsets on the market can fill the gaps that niche audiences may need, Elite Atlas is 2018’s general purpose headset.